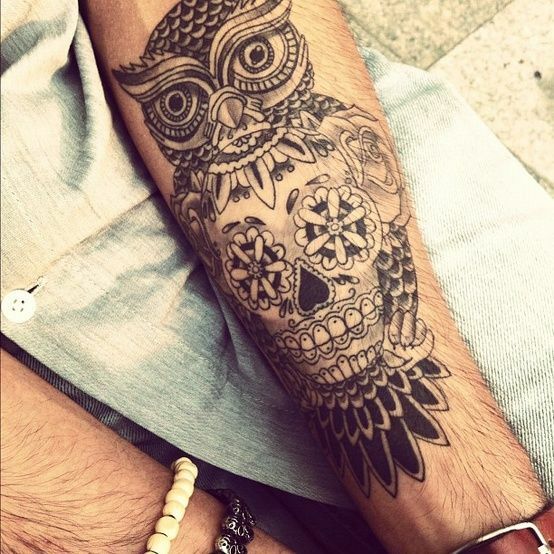 A detailed owl peers out from behind a mardi gras style skull in this inner forearm tattoo. The skull is expertly shaded and wears flowers in its eyes and roses at its ears. The owl’s feathers frame the skull as it reaches from elbow to wrist. 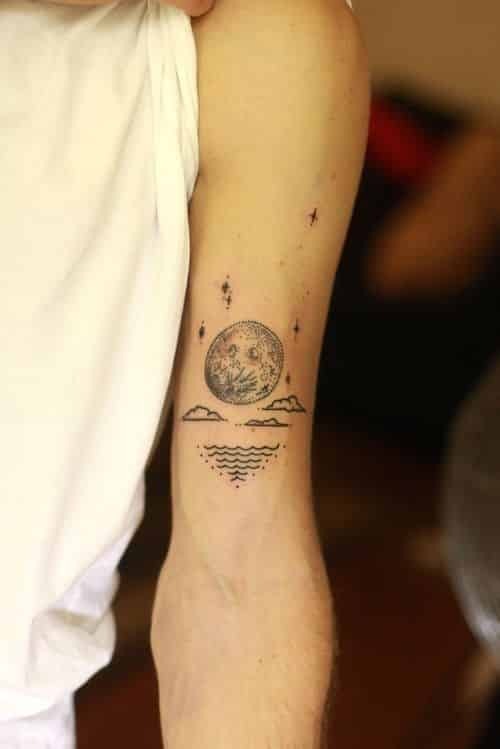 This tattoo features a Dotwork moon. Above the moon five Dotwork stars. Beneath the moon float three Linework clouds and a simple line and dot pattern that eludes to water. 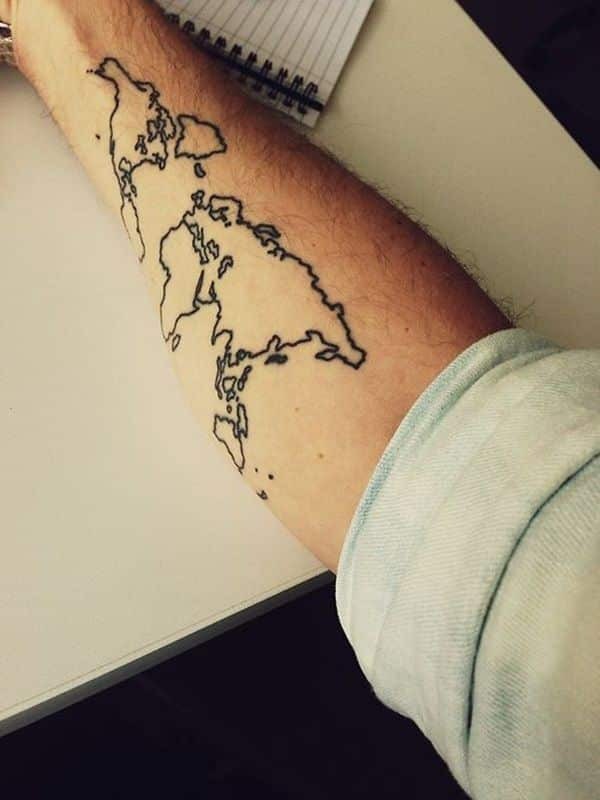 This forearm tattoo is a strong example of geography based tattoo ideas. The outline of the continents stretch horizontally across the side of the inner forearm in simple and effective black and white. 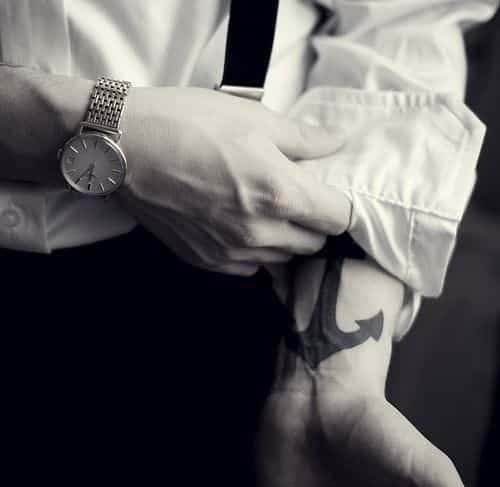 This forearm sleeve is a stunning example of strong Blackwork. 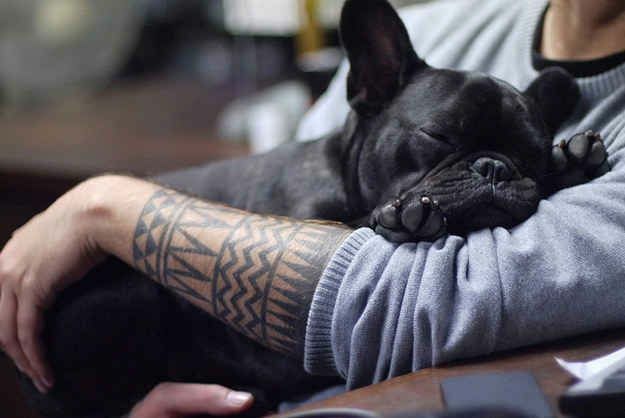 It features a triangle centric, tribal inspired pattern that wraps around the forearm from elbow to wrist, and embodies strength and mystique. 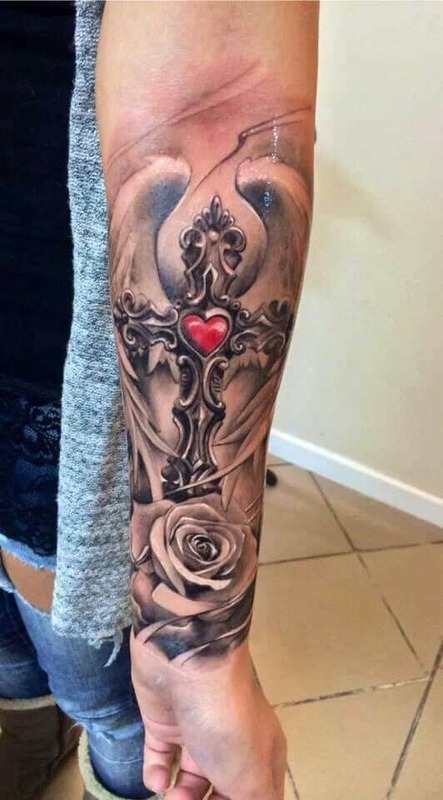 This lower forearm tattoo stretches from the inner wrist to just about halfway up the inner arm. It features a Blackwork styled anchor, inked in thick, bold ink. This tattoo idea for men is a crown cross featuring a blood red heart in the center. Below the crown cross is a open shaded rose. To finish off this majestic tattoo there are angel wings holding in the crown cross and rose. 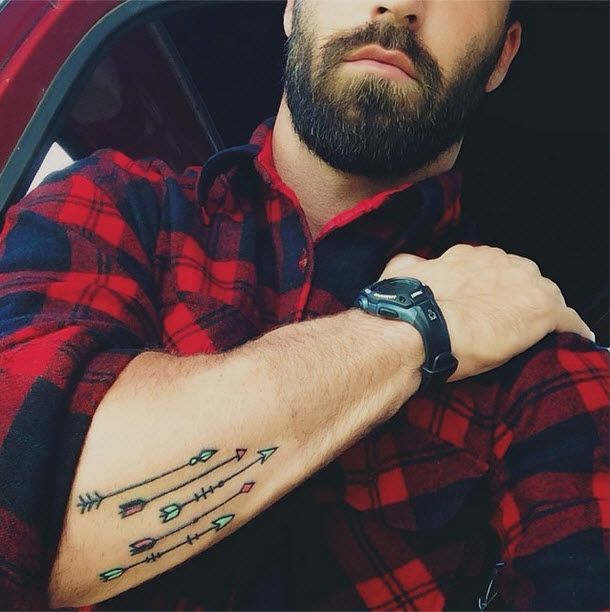 This tattoo features 5 Indian style arrows all pointing down the arm. Three of the areas are done in a light teal color with the tips and arrow ends being colored. The other 2 Indian arrows are in a light red color. Each arrowhead has been designed completely differently representing different Indian tribes. 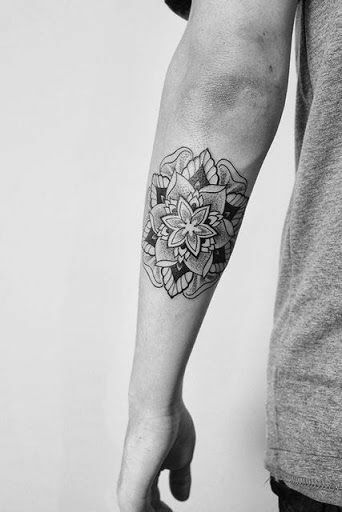 Is a gorgeous forearm tattoo featuring a multitude of flowers done in black with no coloring. There are different large flower designs making up the back with smaller flower designs placed on top. This is by far a very well done and amazing flower design tattoo idea. 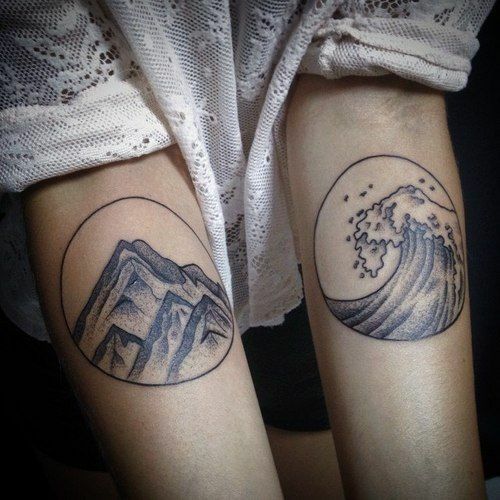 On the right forearm towards the bend of the elbow is a large outlined circle in black with black shaded mountains. The left forearm in the same area features a black outlined circle with a black shaded in wave from the ocean. 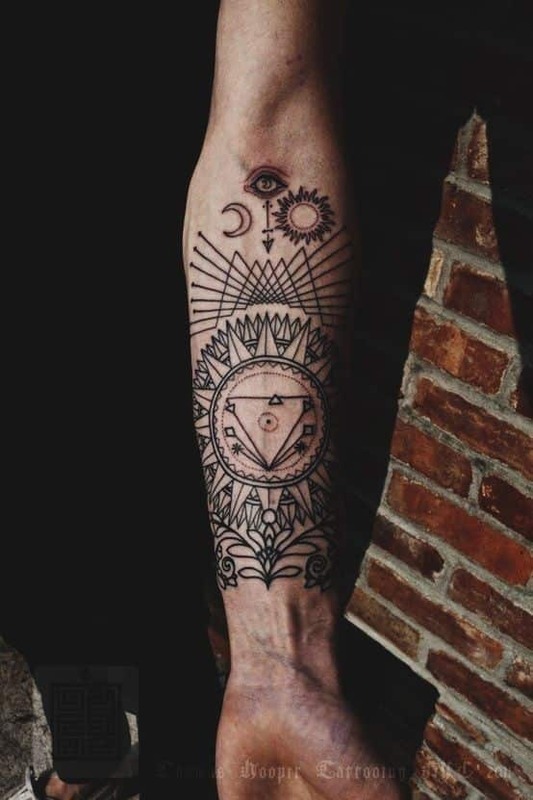 If you are looking for an epic geometric forearm tattoo this one fits the bill. Amazing geometric forms inside one another. At the start of the bend of the elbow is an eye with a down facing arrow on the left side of the arrow is the moon and opposite that is the sun.